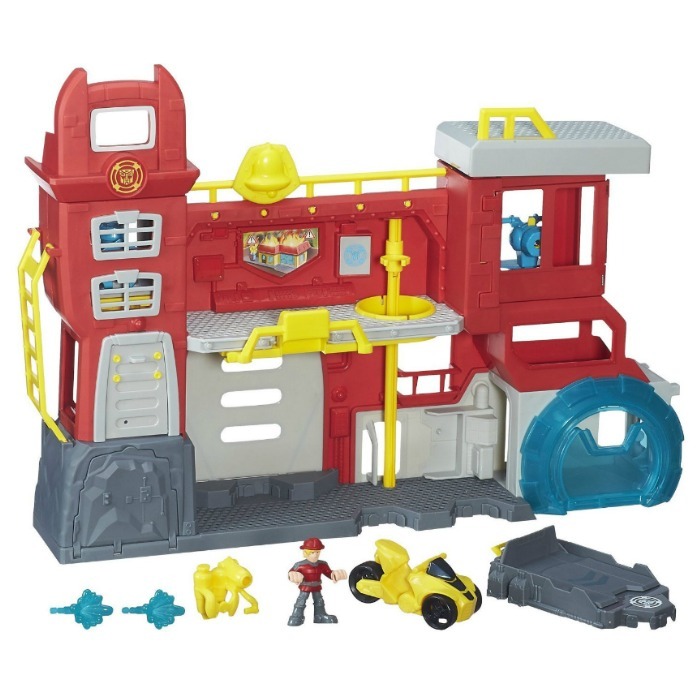 Playskool Heroes Firehouse Headquarters Just $19.98! Down From $40! You are here: Home / Great Deals / Amazon Deals / Playskool Heroes Firehouse Headquarters Just $19.98! Down From $40! Amazon has this Playskool Heroes Firehouse Headquarters for just $19.98 (Reg. $40)! When emergency strikes, kids can pop up the command tower and rotate it 360-degrees to get a full view of the surrounding area, and then use the hidden-reveal projectile launcher to pretend to put out fires! Gear up the Cody Burns figure, help him hop on the rescue motorcycle, and use the vehicle launcher to send him through the secret tunnel! Raise the helicopter landing pad to reveal another projectile launcher. Extend the ground bridge and attach the vehicle launcher to send Rescue Bots vehicles through. Or swing out the command center’s platform to extend it!